Eversharp Symphony model 713 third generation fountain pen from the early 1950s. 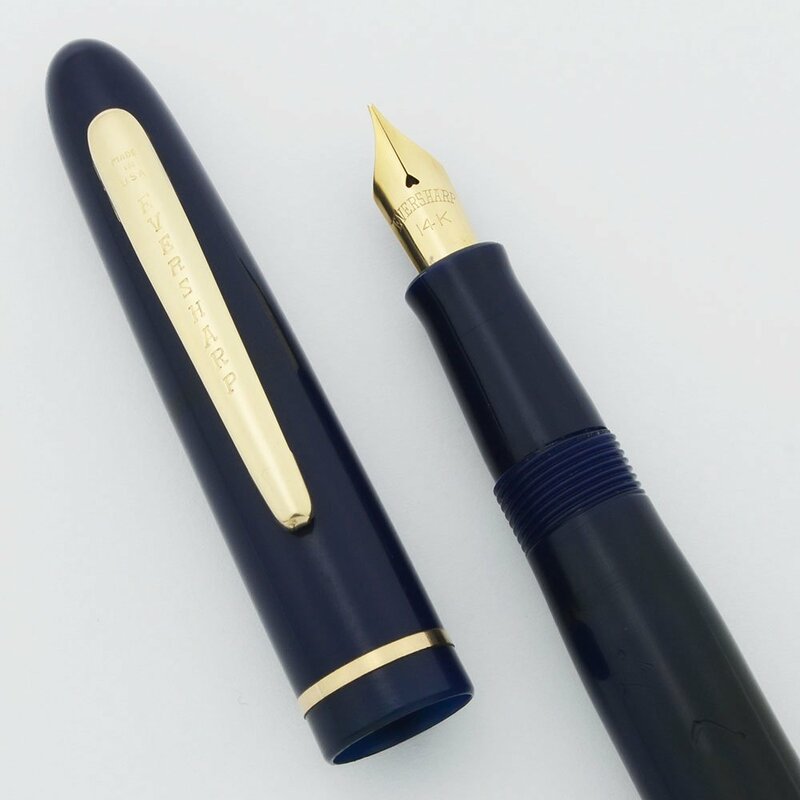 Lever filler in dark blue with a narrow gold plated cap band. Flexible fine 14k nib is smooth. Excellent condition, fully restored and working well. 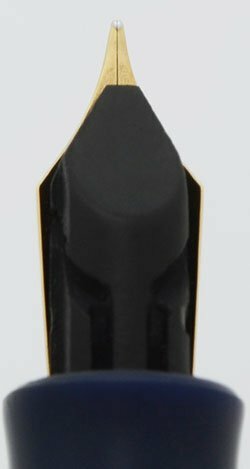 Product Name Symphony, model 713 based off of cap stickers we've seen on similar pens. Manufacturer and Year Eversharp, made in USA -- 1950s. Color This is the second blue color produced for the Symphony pens. It is very dark and looks black in dim lighting. The first blue was lighter. The trim has thin gold plating. 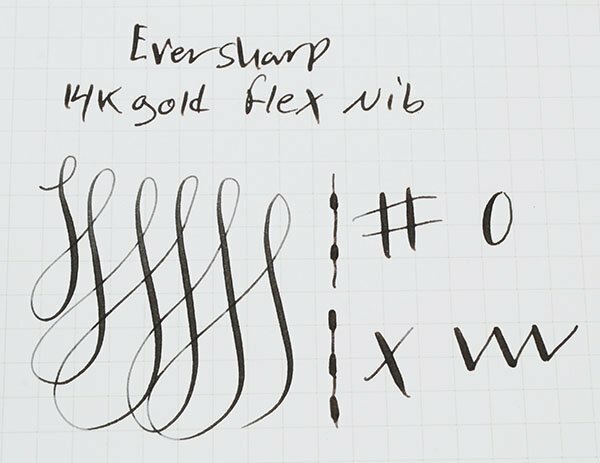 Nib FINE FLEXIBLE Eversharp 14k nib. It writes smoothly and has good line variation. See writing sample below. Condition Excellent condition. No major wear on this pen. There are some marks on the barrel near where it is capped. There is a brassed area on the cap band, and some scratches in the plastic around the cap band. We've fully restored the pen and it is working well.